Flats and Bay Tampa Tarpon Fishing Charters are the center point of our amazing summertime fishery. If you have never hooked up with these amazing Megalops migrators than here is your chance to get on these amazing fish. Tarpon are hard pulling, drag screaming, acrobatic, kings of the flats. Captain and Tampa tarpon fishing guide Steve Betz has dedicated many years in understanding how these fish flow through the area waters and what gets the to bite. The first time he sets you up in front of a migrating herd your heart will begin to pump. Watching the droves of rollers is a point of excitement, but getting that hook up will put you on a next level mindset that has no comparison. Your Tampa Tarpon Fishing Charters inshore experience will include watching the Tarpo droves aggressively feeding on the flats. Between the explosion of mullet and baitfish, you will find your line presented well in the mix. Upon the attack you can expect these fish to make a great run peeling off your line, followed shortly after by the amazing aerial acrobatics that make these fish so much fun! 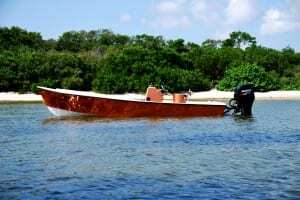 Your Tampa Tarpon Fishing Charters nearshore experience will show you a different approach to Tarpon fishing as you watch the school slowly work its way up the coastline in search of their next snack spot location. 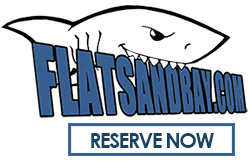 Flats and Bay will help negate that need by bringing you right to them with a specialized offering from Captain Steve Betz arsenal of Tarpon baits and lures. Flats and Bay Fishing Charters offers some of the best Tampa Bay tarpon fishing experiences available in the area. 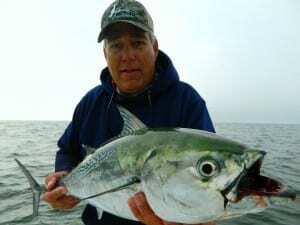 Let Captain Steve Betz guide you through this fishery from the backcountry to nearshore – he has you covered. Inshore Fishing Charters in Tampa will provide you access to the best SW Florida fishery, if not the states best. 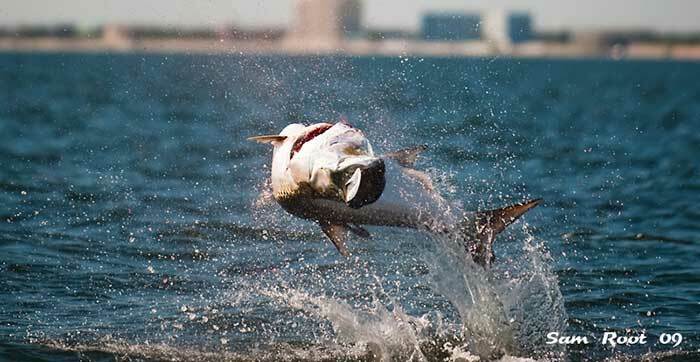 See why Tampa, Florida is the epicenter of so many fishing shows, resident anglers, and world-renowned tarpon fishing! Tampa is Florida’s topmost Gulf Coast City! The city is renowned for energetic nightlife, unadulterated mangroves, and premier Tarpon fishing. Migrating schools of Tarpon may be reeled-in from Tampa’s shores, along bridges or atop the artificial reef. Tampa has so much to offer; why not take a sojourn in “The Big Guava?” The cities early investors may not have made a fortune in wild guavas, but stumbled upon a wealth of fish. Tampa’s artificial reefs make for a superb fishing experience. According to the Environmental Protection Commission (EPC), fifty- thousand tons of material has been submerged in the gulf coast since 1986. These artificial reefs promote biodiversity and enhance local fishing. 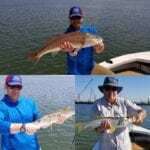 You can charter a boat with Flats and Bay to fish the area or thumb a ride with a Tampa local. Whether fishing from a dock, the shore or atop a reef, Tampa is bound to please all fishermen. Tarpon, Megalops Atlanticus in Latin, are easily recognized by their silver sides and belly. The sides of the Tarpon tend to be untarnished like polished cutlery. These large fish possess a green body that beautifully contrasts their silver sides. Anglers have dubbed this Tampa native the Silver King due to their reflective color and size – females can surpass eight feet in length! Another distinct feature of the Tarpon is the trailing dorsal fin. Tampa locals agree that Tarpon can be challenging to reel-in, two-hundred-and-eighty pounds of fish exert a tremendous amount of resistance on a fishing rig. Mentioned on Bullbuster.net, Tarpon respond the best to the correct equipment: “I have narrowed my equipment down [when fishing for Tampa’s Tarpon]. The hooks that have given me the best catch and release ratios are circle hooks that are 5/0 in the Mutu Style.” The author continues, rods that don’t exceed 8 feet and a 60 pound test tend to reel-in the most Tarpon. The correct equipment greatly increases your odds of reeling-in Tampa’s Tarpon. Whether fishing for Tarpon along Tampa’s white sand shores, from a dock or atop one of the many artificial reefs, Florida’s Gulf Coast provides an exceptional experience. After a long day of reeling-in Tarpon, don’t forget to investigate the Tampa nightlife.